Each year I am fortunate to visit many of the properties in our care and meet some of the people who care for them,welcoming visitors from every corner of the world. Last week I travelled to the West Highlands and down through Perthshire to see some of our un-manned sites – these make up the bulk of places we care for. In the Iate afternoon I collect our Head of Estates Joann Russell from Stirling station and head off to Kilmartin. We pass the King’s Knot and Stirling Castle looming over our heads and head out past Loch Lomond into Argyll. Kilmartin Glen is a unique prehistoric landscape in Scotland and we pay a visit to Cairnbaan cup and ring marks just as the light is starting to go. There are many theories about cup and ring marks and their purpose – I like that we don’t know for certain. All we know is that some 5000 years ago our ancestors sat here and formed these distinctive motifs using quartz hand tools. The next day, our District Conservation Architect Jamie MacPherson arrives early in the morning to spend a few days with us and the weather is glorious. We first travel out to Castle Sween. 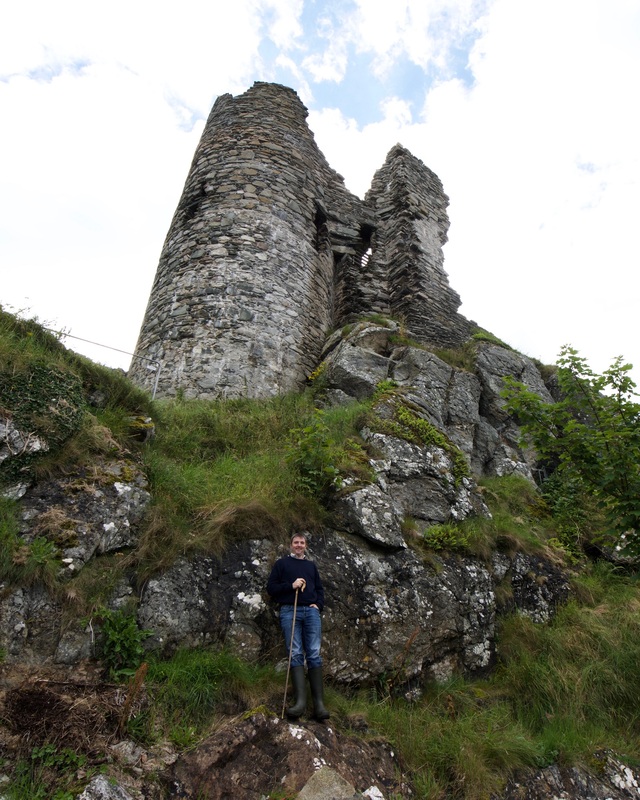 Built in the late 12th century it occupies a prominent place in the landscape and reflects the importance of sea passage – it is possibly the oldest castle on mainland Scotland. Incredibly there are two large chunks of wall on the beach which we understand were removed in the 1920’s as unstable – lying on their side the masonry work is largely intact. 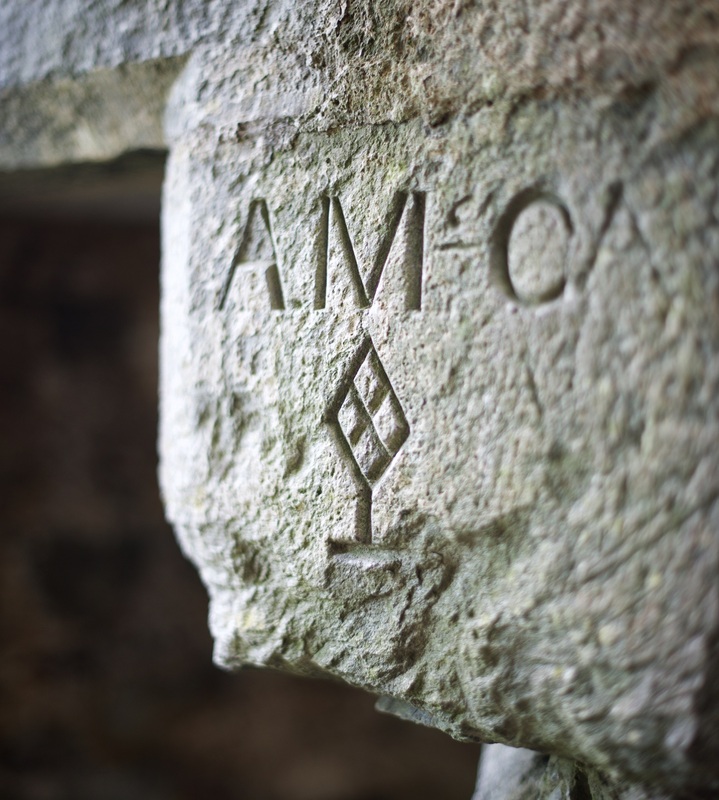 Kilmory Knap Chapel has a fine selection of carved stones within it and a heavy key on a chain to provide access – I love these kind of details and that these precious objects have remained safe here for hundreds of years. The MacMillan Cross ties us back to Castle Sween – a 15th Century piece for a Castle Sween Chieftan. The schist from which these sculptures were made is incredibly hard but the mica within it sparkles in the sunlight. Keills Chapel is a new one for me, re-roofed in the early 1970’s and again containing a beautiful collection of carved stones. I like the simplicity of the roof here – traditional and in keeping but obviously new. The stonework of the chapel is lovely. Jamie points us to a rather sorry looking wooden cross which he thinks is one of two crosses that mark the resting place of two German sailors from the Second World War. 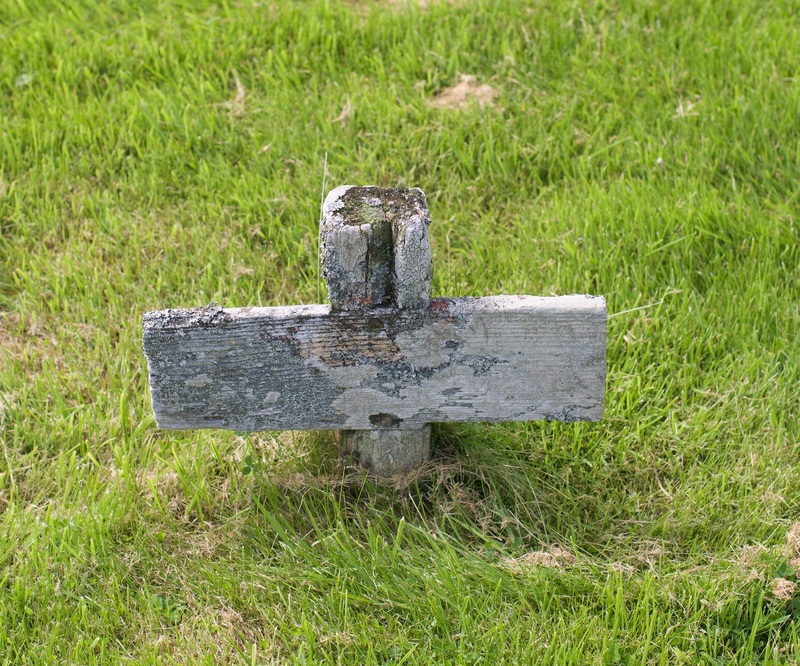 We discuss the condition and agree it is appropriate for us to re-make these markers after some further research. 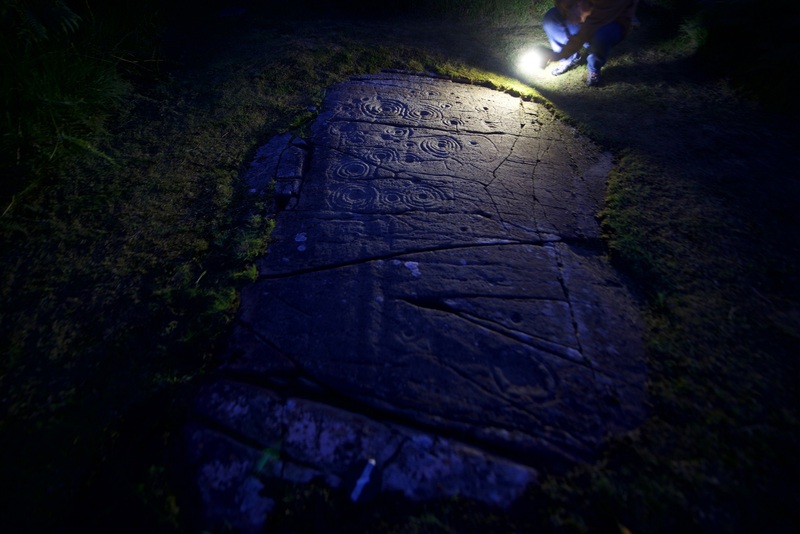 Back to Kilmartin Glen and Achnabreck rock carvings – close to Cairnbaan. These are on a grand scale as the bedrock faces out of the hillside and are amongst the best in the country. We discuss the continuing encroachment of moss onto the surface of the stone and the impact it has on the stone deterioration. Argyll has become increasingly wet over the past 30 years and climate change models will see this increase. Since precipitation is a primary engine of decay we need to factor that into our conservation thinking. At the other end of the glen Carnasserie Castle is a very different type of monument – it has a wonderful setting looking across the valley and is a mass masonry building which is very familiar to us, with mostly exposed wall heads and a history of consolidation. The volume of graffiti here strikes me – it is mostly Victorian and some of it beautifully cut – my reaction to modern graffiti would be very different but it is a reflection of how these sites were considered at that time. More interestingly masons’ marks are abound here and we count many. Again the site is very busy with visitors. We stop at Kilmartin Museum who are key partners for us and meet Director Dr Sharon Webb for coffee. She tells us that some 800 sites have now been identified in the glen – some 500 more than when they came into being and that new sites are regularly being identified. The scale of the cultural asset we have in this place is on my mind very much. She also tells us about their plans for re-development which sound exciting. From here we travel to Dunadd, timed beautifully for the sun going down. I have been interested in Dunadd since I was a child after seeing the rock carvings and reading about the Scots coming from Ireland and the rituals involved in the carved bowl and footprint in the bedrock as the capital of Dalriada. I have a real weakness for the old Ministry of Works signage and the sign here is one of my favourites – they form a part of our organisational history and the evolution of state care of monuments. Near the summit a small boy has his foot in the footprint and proclaims his kingship as is the tradition. Few visitors realise the original carvings are beneath this replica in order to protect the Pictish ogham inscription and carvings. I have mixed feelings about this, but the quality of the replica is outstanding. The midges are grim however and whilst the sunset is stunning we make our way down the hill. 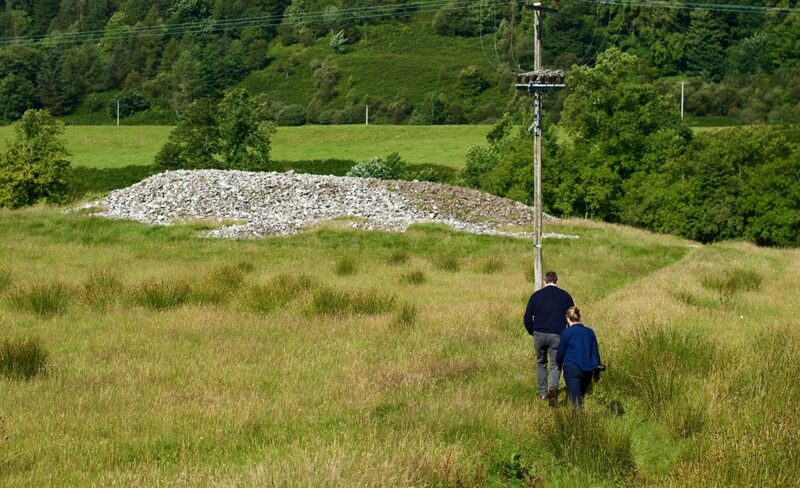 The next day, we set off to explore the monuments of Kilmartin by foot starting with the collection of carved stones in Kilmartin Church and graveyard before heading out across the fields to see the numerous cairns and standing stones in the company of our local Works Manager Robbie. 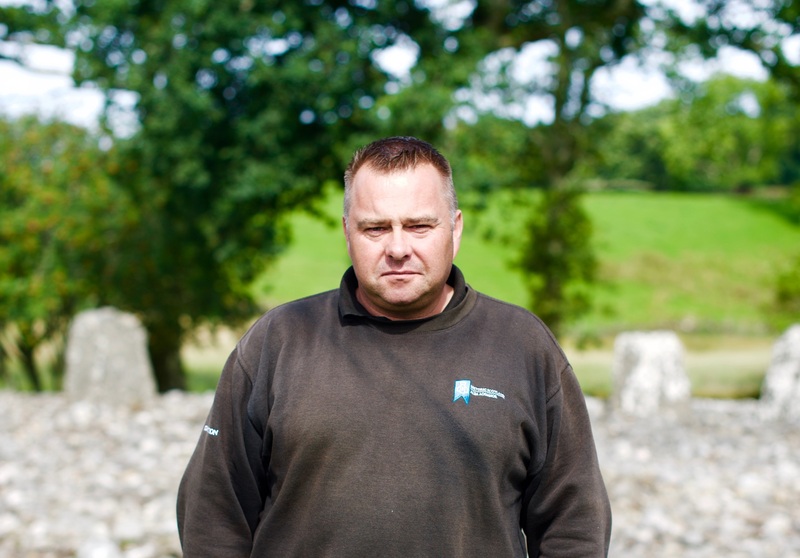 Robbie has worked for us for 30 years and is typical of our staff in that he cares passionately about what he does and ‘his’ monuments. 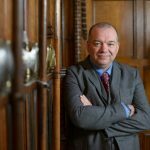 Whilst we look after these monuments on behalf of Ministers and ultimately the people of Scotland, the relationship and retained knowledge our people have of these sites is critical for their care. Temple Wood is my favourite – a stone circle which evolved over time as a burial site. It is peaceful and like many such sites sculptural in appearance. A brief visit to our works depot at Lochgilphead and Robbie shows us some old photographs of staff working at some of the sites we have visited. I love to see these images – there are thousands of images in our archives of our properties but comparatively few historic images of staff – these need to find their way into our archive. 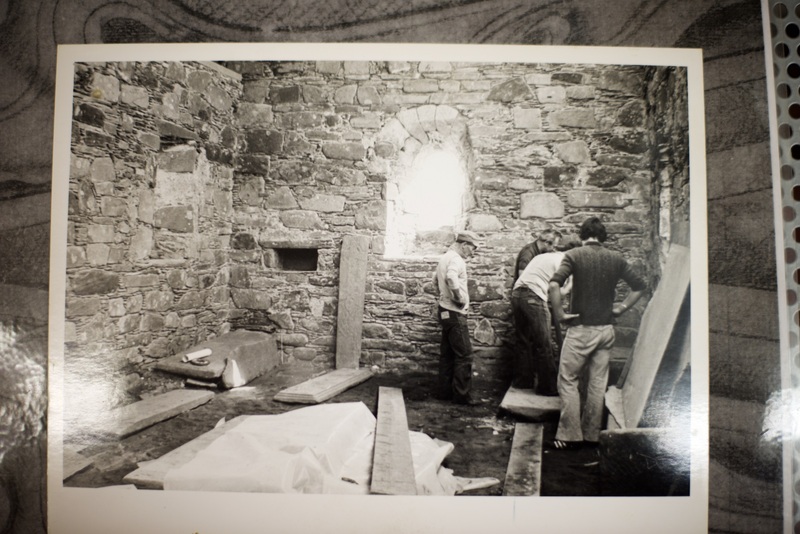 After catching up on emails we visit Ardchattan Priory at the side of Loch Etive, before driving through Benderloch past Dun mhic Uisneachan – another childhood haunt and a wonderful vitrified fort. A quick stop at Inverlochy Castle at Fort William and the weather starts to clear a little as we approach Bridge of Oich. The bridge is stunning and the best Scottish example of a design by the Engineer James Dredge with a span of some 47 metres. We are now in a different operational region and this site is cared for by our team at Fort George. Timing is good as a prolonged and heavy downpour commences as we leave the site and travel towards Inverness. We pass Urquhart Castle in the rain and look back from the road – it has such a wonderful setting and is our third most visited site. After some meetings in Inverness the next day we stop at the Culloden Battlefield (our friends at the National Trust for Scotland do a good scone!) before heading down the A9 to meet Stuart Macfarlane one of our District Works Managers at Sunnybrae Cottage in Pitlochry. This came into care in the 1980’s and has a cruck frame and thatch intact beneath some protective corrugated iron. The modern interiors have largely been removed to expose the original construction. 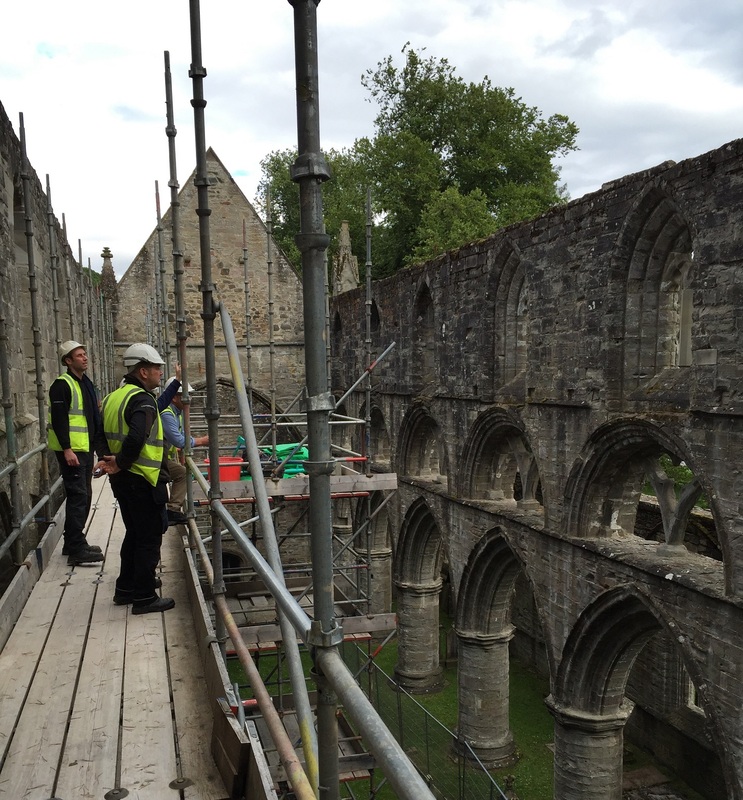 On to Dunkeld Cathedral to meet our team working on this challenging monument. The stone here is clay rich and is very prone to decay. The interior space has been closed to visitors for some years now but the team are making good progress. Our masons love this kind of work – they conserve and also cut replacement stones. I increasingly think we need to view the perpetuation of these intangible craft skills as part of the overall significance of the monument too. They tell me they had thirty visitors watching an apprentice creating a replacement stone earlier – nice to hear. All in all, this has been a successful trip that has given me things to think about, discuss with our colleagues further and follow up on. It was remarkable to see the numbers of people visiting our unmanned sites during the summer, even during the evenings. And then there are our staff who work always in the best interests of the monuments and welcome visitors warmly – they are such an asset. Once again I am grateful to be part of a team that has the good fortune and responsibility to be guardians of some of Scotland’s most precious places.